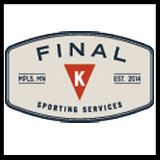 This is the final long distance triathlon of the Minnesota triathlon season. Pristine location with great race support. Two loop swim in a spring fed lake, two loop bike course with multiple bottle exchanges. Challenging out and back run course with 7 aide stations with Hammer electrolytes, water, gels and some stations with bacon because everything is better with bacon. Aqua bike option available. Barbecue follows the race. 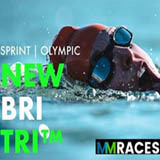 This sprint triathlon caps off a weekend of multisport racing in Minnesota’s favorite multisport training grounds – the Stillwater horse country. Swim the pristine waters of Square Lake, then ride the gently rolling hills surrounding Square Lake. Finish with an out and back run. Aqua Bike option available. Barbecue follows the race. 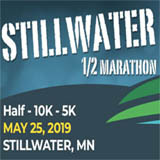 Marked by beautiful views and a country feel, the Circle the Lake Half Marathon, 10k, and 5k will take you along the shores of Circle Lake in rural Rice County, MN. Located just 20 minutes south of the Burnsville, MN, these courses are run over rolling hills on a mix of paved and dirt roads. It is possible to spot bald eagles, osprey, deer, ducks, pelicans, and to hear the hum of a distant tractor. Runners will have views of the island in Circle Lake, home to many species of wildlife. These courses are open to competitive racers, families, dogs, kids, seniors, and are iPod friendly. We start and end at the historic Millersburg School House and you will follow the same route the Jesse James Gang once traveled. The Half Marathon is certified (Certification Code MN14042RR). It is tough, and will test your mettle. There are several hills! All races will be chip-timed. 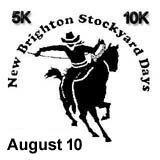 There will be posted mile markers and water/sports drinks will be available throughout the course. All racers registered prior to September 1st will get a commemorative t-shirt. We cannot guarantee a t-shirt for registrations posted after that date. Medals will be awarded to all half marathon finishers. We will also have prizes for race age group winners. There is a $5 price increase for each race on April 15th. And another $10 increase on September 1st. Register early to assure your spot and save some money. Online, pre-registration is preferred. There is a link on our website www.circlethelake.com for that along with a link for a paper registration if you prefer not to register online. You can also visit that website to see course maps and get the latest updates. Same-day registrations will be available. We accept cash, check. Races are rain or shine and we cannot offer refunds or transfers to another person. Invite your family and friends to cheer you on and celebrate your accomplishment at the Boonies Bar and Restaurant, located at the start/end of the race. Boonies is pleased to offer you one complimentary drink of your choice after you finish. Registration starts at 7:30 A.M. and the races begin at 9 A.M. Circle Lake is used for recreation, sports and by naturalists. 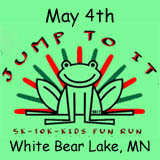 This is a charity event sponsored by the Circle Lake Association. www.circlelake.org The association has many projects completed and much more planned to improve the lake's watershed. The proceeds from this event go toward funding those projects. Get in one more triathlon before the tri season comes to an end. We’’ve shortened the swim and lengthened the bike course in honor of the late season. Gorgeous bike course followed by a flat run along White Bear lake. Aqua Bike available for both distances. Barbecue follows the race. Community First Fox Cities Marathon presented by Miron Construction Itinerary September 20, 2019 - September 22, 2019 UW Fox Valley Campus 1478 Midway Road Menasha, WI 54952 Time(s): Expo 4pm-8pm, Friday Saturday: Kids Run 9am-11am 5k 9am-6pm Expo 7am-2pm Sunday: Marathon, Relay and Half Marathon Phone: 8772307223 Website Description A weekend of races for all ages and abilities. 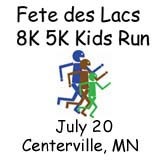 Events include the Community First Fox Cities Marathon, the OSI Relay marathon, the ThedaCare half marathon, the Ascension 5k, the Guardian kids fun run and the Huggies Diaper Dash and Toddler Trot, and two-day Wellness expo. Participate in the races or just come as a spectator! Explore the beautiful variety of landscapes Minnesota has to offer and join us at the 8th annual Tour de Hugo! Catch glimpses of lakes and ponds as you tour through prairie, farmlands, and forests. The rides start and finish at Hugo City Hall, a quick 25 minute drive north from downtown St. Paul. Enjoy the stunning fall colors of our region which are likely to be at full peak. Experience a send-off by the Honorary King of the Mountain! Be cheered by bell ringers! 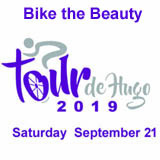 A variety of ride lengths (6, 20, 35, half century (50), or metric Century (62.2) miles) make the Tour de Hugo suitable for all levels of biking experience. “Brake for Cake” and join in the fun after party. Lunch and rest stop refreshments are provided. All paid participants receive a Tour de Hugo T-shirt, commemorative bandanna, and ride medallion. You must sign up through September 1 to receive a tshirt. The first 300 riders to register receive a bike bag stocked with goodies from sponsors. The City Six is free for families! Everyone that completes the City Six receives a free medallion and a voucher for a free Dairy Queen ice cream cone. All riders must complete the entry form and sign the waiver. Payment of the registration fee is required to participate in any ride other than the City Six, to receive a t-shirt, or to participate in the after-party and lunch. Paid registrants must sign up by September 1st to receive a t-shirt. Check in time on event day starts at 6:30AM. The metric century ride departs at 7AM, Half Century ride departs at 8AM, 6 mile at 8:30AM, 35 mile ride departs at 8:45AM, and 20 Mile at 9:00AM. After Party at finish from 11AM until 2PM. You must start with your mile route wave time as rest stops are timed to close down after the riders go through. All proceeds go to support Hugo Community Parks and Trails. HELMETS ARE REQUIRED FOR ALL PARTICIPANTS. Race Day Events is excited to bring the Uncorked 5K, to the Madison area. Held at Botham Vineyards, the original vine-to-bottle winery in Wisconsin, this is the perfect opportunity to gather with your friends, run a 5K, and then relax with a couple glasses of wine and some live music! This family-friendly 5K is great for all ages and abilities. 5k/10k walk/run to support our monthly food distribution. Must preregister before September 1, to receive a tshirt. Age group medals for places 1 to 3. First run 3.5 miles, 14 mile bike, 2.5 mile run. Runs are on the paved trails within the gorgeous park. Bike is through the rolling hills of Lake Elmo. Finish with a shorter run within the park. Reverse Du option available for the short course. Barbecue follows the race. Great beginner duathlon. END-CHIP (née Woodchipper) is a 50/100/160-kilometer gravel grinder in the wilds of western Minnesota. The Mankato Marathon is the Midwest’s boldest race, showcasing a dynamic course and determined runners. This year the full marathon will be on a new course with an urban feel, highlighting the beautiful Minnesota River Valley. Don't miss out on the Pork Power Bacon 5K and the perfect 10K , flat and downhill. Our cheer teams are sure to keep you motivated. After your run enjoy the post-race music and party designed just for you. This beautiful course is on the trails through the apple orchard, strawberry fields and pumpkin patch. The footing varies from gravel to pavement. 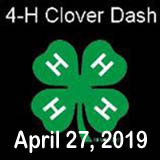 You will compete with some of the best runners in the midwest or you can just enjoy walking through the scenic countryside. The IMT Des Moines Marathon advocates for active participation in our own personal health and wellness by providing community running events and related activities. Since its inception in 2002, the IMT Des Moines Marathon has provided a positive image of Des Moines by offering race distances for athletes of all abilities from the IMT Des Moines Monument Mile in September to the IMT Des Moines Marathon & Half Marathon, Bankers Trust Marathon Relay, Mercy Live Up Loop 5-Mile Run & 1-Mile Walk and Principal 5K Road Race in October. Join us as we celebrate 18 years of running October 18-20, 2019.